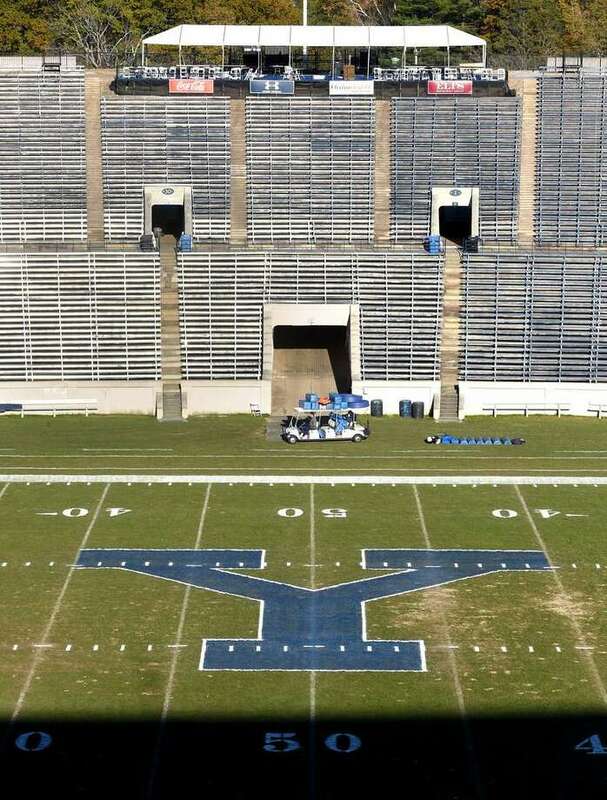 The Yale Bowl in New Haven has been the home field for the Bulldogs and could be a strong contender as a venue for any future high school state championships games. During the first semester of my senior year in college, I had a roommate that played safety on the football team at Southern Connecticut State — his name was Mike Dunkley. “Dunk,” as we called him, was a good roommate, but an even better football player. After finishing his four years for the Owls, Dunk tallied 132 tackles, 8 interceptions, and a touchdown. A star on the football team that was also roommates with the sports editor of the school’s newspaper — sounds like a bad teenage sitcom — but it did make for our fair share of memorable conversations about the game we both loved. One chat in particular stood out during the year we spent as roommates, it was about his senior year of high school while playing at Iona Prep in New Rochelle, N.Y..
After a junior season that saw Dunk’s Gaels finish No.2 in New York and win the state AAA championship, he and the rest of his class returned for their senior campaign to square off against New Jersey powerhouse Bergen Catholic at the old Giants Stadium in the Meadowlands — the neutral site for the matchup. I remember Dunk talking to me about the game — a tough loss to the Crusaders — but the chance to play on a NFL field, a lasting and amazing memory for a 17-year old kid. Despite losing for the first time since his sophomore year, the experience of being in an NFL locker room, running through the tunnel, and taking the same field as the pros, was a stand-out moment of his career. And that was just to start the regular season. Obviously, New York and New Jersey high school football is bigger than high school football in Connecticut, but the fact that the Nutmeg State is playing all four high school football state title games at local high school fields is a travesty. While Connecticut is without any professional football field, there are two Division-I college fields — in UConn’s Rentschler Field and the Yale Bowl — that could make great venues to host the title games. Although Dunk and his high school teammates were given the opportunity to play at Giants Stadium, the state final in New York is taken to Syracuse where the top teams face off in the Carrier Dome, a Division-I college. In Mississippi, another state without an NFL team, the high school state title games are alternated between the fields of Mississippi State University and the University of Mississippi. Rentschler Field hosted state title games from 2010 to 2013. Obviously, there are plenty of factors that go into planning and scheduling the final playing fields, but I think that it should not be too much to ask to give the top teams in the state the reward of taking the field of a college facility. Even if that means playing at Central Connecticut State’s Arute Field in New Britain or Southern Connecticut State’s Jess Dow Field in New Haven, either is better than playing a game at another high school venue — making the game feels more like a glorified rivalry matchup than a state championship. Simply put, it is unfair to deny the players that have worked their tails off all season an opportunity to experience those same emotions and memories that my old roommate Dunk continues to feel and cherish nearly a decade later.